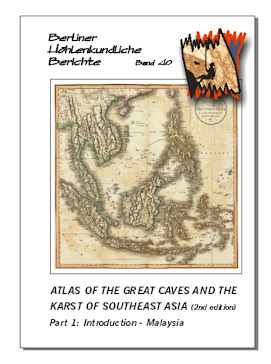 Pictorial blogs on some of the interesting caves I have visited around Southeast Asia. On some blogs I have included photos taken over the years. Although this blog was only born in 2011, I have now included older posts from my Multiply blog which closed in March 2013. This includes articles I have written. I am now also adding news relating to caves I have a particular interest in. 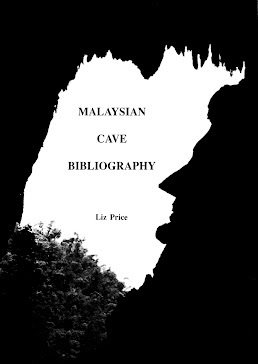 See my website on Caves of Malaysia. Much of KL is built on limestone and there are many cavities underground. One estimate is that a third of Kuala Lumpur is built on limestone bedrock. Sinkholes tend to occur with such a geological formation. 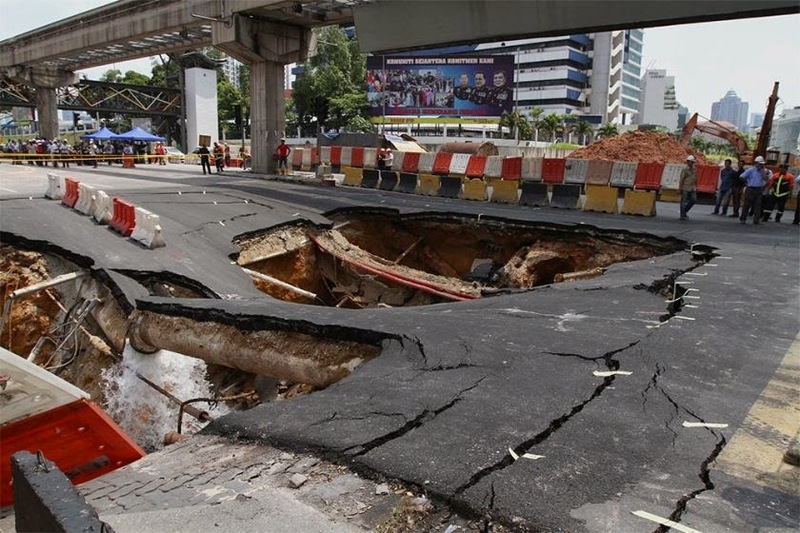 One sinkhole occurred on the morning of 2 July 2014, at the junction of Jalan Pudu - Jalan Imbi - Jalan Hang Tuah. This is the junction of the old Pudu prison, Police HQ and Times Square. According to the Malay Mail the sinkhole was said to be 20 m deep. The cause was said to be a burst water pipe. It happened mid morning so it was lucky there were no casualties. The collapse covers a 19 m stretch and is just 20 m from the elevated monorail. The hole was filled with sand, The Star 4 July ; Malay Mail 4 July 'Sinkholes repair at Jalan Imbi almost completed'. 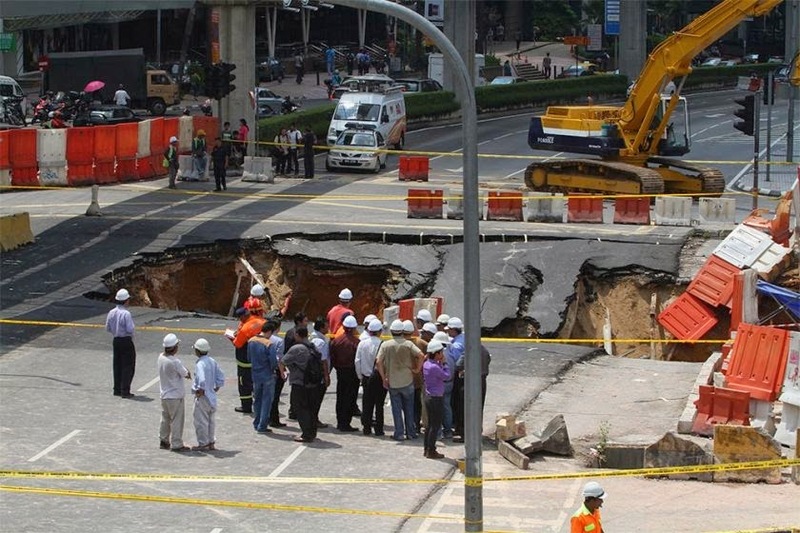 There was a smaller sinkhole earlier in the year at Bukit Bintang on 26 April 2014, on Jalan Bukit Bintang between Chulan Square and the Jalan Tun Razak intersection. Yahoo report. 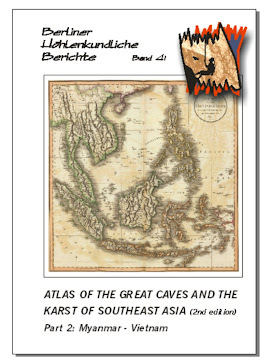 I have visited many caves around SE Asia and have participated in several international caving expeditions. 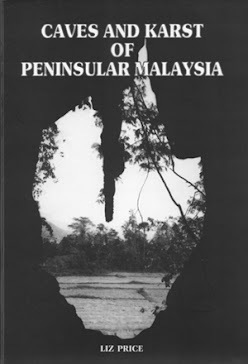 See more on my website https://cavesofmalaysia.wordpress.com/ To order books, see the website, or email me. © Liz Price. Watermark theme. Powered by Blogger.